is for Alcohol. Not the kind of ABC you usually think of. Alcohol is often used in products to help them disappear quickly and not leave a film on the skin or hair. It is a great way to deliver actives onto the skin and then not leave anything else. It can also be a natural preservative, but it needs to be used in very high dose to be effective. The side effect with alcohol is that it can dry the skin out. So rather avoid if you have dry or sensitive skin. A is also for Aluminum Chlorohydrate. This is used in antiperspirants and it helps to stop you from sweating. There are concerns about cancer links and Alzheimer’s, but to date no links have been found and it is still safe for use in cosmetics. is for Behentrimonium Chloride. That is a mouthful but it is the main ingredient in many conditioners which gives us our good hair days. It is a conditioning and anti-static agent. It smoothens and detangles the hair. is for carbomer. This is a gelling agent. It can be used to make crystal clear gels or even in emulsions to give a thicker feel without the heaviness of waxes. There are many different grades that will have different benefits depending on end use, but they all still fall under the name carbomer on the ingredient listing. You will also often see sodium hydroxide listed with it as it needs to be neutralized to work as a gelling agent. C is for CI Numbers. If your product has colour in it, you will see that the colours are listed by CI number. This is a universal numbering system for colours which makes it easier to identify the colour used. is for Decyl Glucoside. This is a natural surfactant. It is derived from sugar and gives gentle and mild cleansing. It is usually used in combination with other surfactants to get good foam and a nice feel. It may be used with Cocamidopropyl Betaine, Coco-glucoside or Lauryl glucoside. D is for DHA (Dihydroxyacetone). This is the stinky stuff that gives us our fake tans. Derived from sugar, it reacts with amino acids found in the top layers of skin to create a shade of brown (that’s where the smell comes from); the effect takes place within two to six hours and it can build colour depth with every reapplication. is for essential oils. These have been used for ages for healing benefits but also because they smell so great. 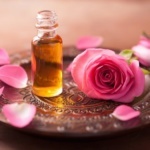 Essential oils are super concentrates in an oily form. You only need a little to get the great effect. There are so many benefits to the oils. I usually choose them based on what I need at the time. is for fragrance. We all love a great smelling product and so fragrances are used in most cosmetics. Along with fragrances comes allergens. There is a list of 26 allergens that must be included in the ingredient listing if they are in the fragrance. It is worked out based on the % the fragrance is in the formulation and the amount of allergen present in the fragrance. Essential oils also have these allergens, so it is not just for fragrances. Even is your product does not have fragrance but has essential oils, you may still see some allergens listed. is for Glycerine. This is a very common ingredient in skin care. It is derived from plants and is a great moisturiser. It attracts water to itself and thereby attracts moisture to the skin. It helps our own skin natural moisturising factor and is suitable for all skin types. It is also beneficial for hair. In it’s pure form it can feel very sticky, but in creams it won’t feel sticky as it is effective in a small amount. I use a lot of glycerine as well to help hydrate xanthan gum into my creams. It can make the formulating process much easier. is for Hyaluronic Acid. Hyaluronic acid occurs naturally in our skin. Synthetic versions are used in skincare products. Its function is as a superior skin-replenishing ingredient. Hyaluronic acid has restorative abilities and can boost skin’s moisture content, soothe, and defend against moisture loss. It is capable of holding up to 1,000 times its own weight in water, making it an optimal hydrator for all skin types. It gives the skin the immediate plumping effect and thereby reducing the appearance of wrinkles. It is a super expensive ingredient but only a small amount is needed to be effective. is for Iron Oxides. These are the main pigments in makeup. Although these are natural it is mainly synthetic forms that are used in cosmetics. This is to make it easier to maintain the quality and colour between batches. It is also more earth-friendly to make them rather than mine them. There are a few basic colours and from these all other colours are made. They are very dry and have a gritty feel. Often they are coated with silicones to make them easier to work with and give a better feel. Have you ever used a foundation and suddenly while you were searing it on there was a little red streak? That is a sign that the red iron oxide was not properly mixed in. is for Jojoba Oil. This is a very common oil. It is pretty much the only ingredient that starts with a J. Even though I did not want to feature common oils, for J – Jojoba won. Like all natural oils, jojoba oil has so many benefits. It works for all skin types even oily skin. It seems odd to use an oil on oily skin but it does really help. Oily skin is not caused by adding oil onto the skin. It is caused by overactive oil glands producing too much oil. This can be hormonal or caused by some external damage to the skin. Jojoba Oil is also amazing to use on the hair. You can buy pure jojoba oil and add a few drops to your normal skin or hair product to make it a little richer and more nourishing. is for Kaolin. This is the white clay that goes into most deep-cleansing masks. It dries to that cement look which Instagram loves. It has great absorbing properties and can help to detox the skin. It is also sometimes used in mattifying powder make up so that it can absorb the extra oily shine we all hate! K is for Keratin. This is primarily what our hair and nails are made of. Keratin is a protein. Proteins added into cosmetics are meant to build strength. The reality though, like collagen, any protein molecule is too big to be able to get into the skin or hair. It can create a great film which protects the hair or skin. Adding too much protein to a hair care product can make your hair very brittle. It is important to balance the strength from protein with moisture so that the strength is flexible. is for Linalool & Limonene. You will often see these on ingredient listings. These are not actual ingredients that are added into the formulation. These are part of the 26 Allergens that are in essential oils and fragrances that need to be listed on the ingredient label. These are in very high amounts in citrus based oils like orange oil and also in lavender oil. There is a specific calculation that is done to work out how much is in the final product. If it is above the minimum limits, then it must be listed. The limits are different for wash off products and leave on products. is for MIT (Methylisothiazolinone) and methylchloroisothiazolinone. These are common preservatives. These started being used more after the false paraben stories started years ago. They do cause allergies and have since been banned for use in the EU and USA in leave on products. It is still allowed for wash off products but in very small amounts. This ban is likely to come to South Africa as well as we follow EU legislation. These preservatives are not given the same attention as parabens yet are actually more harmful than parabens. Maybe parabens should’ve has harder names. It’s like at school, the bullies never picked on anyone with a difficult name. is for natural. I have had this discussion many times, it is worth having it again. Not all natural is good. Not all synthetic is bad. It is time that we start demanding sustainable, safe products. The source is important but we should not damage the environment by being completely for natural. This increased demand does harm the planet. Palm oil is the best example of how the excess demand for natural has done harm. Let’s start looking at what we can choose that is sustainable for all life on the planet and great for our skin. Let’s start the trend towards Earth Friendly, not just plain natural. We need to talk more about this until we all fully understand what is best for the Earth and the Environment as well as best for our skin. I believe a balanced approach is necessary. Some natural and some synthetic. is for Oxybenxone. The sunscreen actives make it under O. Oxybenzone and Octyl Methoxycinnamate. There is so much noise about the safety of sunscreens, the effect on the skin and the concerns about damage to the delicate coral reefs. In short, Oxybenzone protects us from UVB rays. Its safety has been well established and the usage amounts are highly regulated. Despite this, many beaches around the world are banning sunscreen use. My biggest concern with all of this, we know UV rays cause cancer. So, banning sunscreens from beaches increases our risk, but how do we protect ourselves and the environment at the same time? We need to keep level heads and find real solutions, not just hastily make decisions, yet we do need to be urgent in our actions. is for the 3 P’s of Beauty. The bad P’s everyone gets so upset about. Parabens, PEG’s and Propylene Glycol. Spoiler Alert – none of them are toxic, harmful or bad. They are all safe for use in cosmetics despite the other rubbish claims out there. Parabens is a massively long story but the short version, there are no links to them forming cancer. They are so safe that they are used in baby medication. PEG’s and Propylene Glycol are NOT the same thing. They sound similar but then so do oil and soil…..or apple and pineapple…. Propylene Glycol is a solvent. Yes, it is also used in anti-freeze but it is a different grade. Industrial grade is used for that. It gets purified and more refined for use in cosmetics and medicine. Yes, also used in medicine due to being very safe. Think about the difference between water straight from the river – you wouldn’t drink that. But once it’s been filtered and treated, then all good and you happily drink it. Same scenario….in a simple way. PEG’s are short for Poly Ethylene Glycol. All this means is that the ingredient has been linked with fatty acids or fatty alcohols to give the ingredient different benefits. This includes making it work better as a cleansing agent or even a thickener. They have been extensively tested and are totally safe for use in cosmetics. is for you……what questions do you have about any ingredients you’ve read or heard about. Ask away…..
is for your right to know what is in your product. It is a legal requirement to have an ingredient label on the product. If there is not proper ingredient label, ask yourself why? What is the brand hiding, or if they plead that they don’t know one of the most basic legal requirements about selling a cosmetic product, then ask yourself what else don’t they know that could be potentially harmful for you? Start demanding that the products you love start following the requirements for cosmetics. Undercover or grey market products have a bad impact on the whole industry. Usually illegal or banned ingredients are found in these products because the brand owners don’t even check with what the basic legal requirements are. is for Silicones. No they are not natural, yes they are safe to use. They do also make the hair and skin feel amazing. There are very few options in the natural world that can replace the feel of silicones which is why they are still so popular. That is okay. Just because they are not natural does not mean they are harmful. The best treatment for dye hair is usually some kind of silicone. Natural oils also work great, but they don’t make the hair easier to comb, which causes more breakage. Enter silicones. They coat each hair strand and literally make your hair slide apart. This reduces any damage form combing. There are so many different types of silicones. Make-up products also use silicones for long lasting, velvety feel and that matt radiant shine. Pigments in make-up products are very drying and oils feel heavy on the skin. Silicones help the pigments spread easier for better coverage and they fell light and silky. That is how we can get a heavy coverage with a light feel. S is for synthetics. Just a quick thought. Synthetics are products that are man-made in a lab. 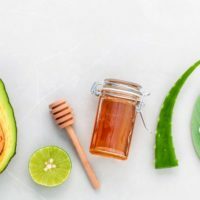 There are some synthetics that are more beneficial to our skin than natural products, the main reason being that they were made to have a benefit. They were specifically made with safety and efficacy in mind. They are not evil little chemicals lurking in your product waiting to attack you. They were made to good for the skin. I would even be prepared to argue that some synthetic products undergo less processing than natural products. By the time the natural ingredient is in the cream it has undergone so much processing, filtering, extraction etc to make it suitable for use in a cosmetic. Just a thought…..
is for Titanium Dioxide. This is used in so many different ways. It is a mineral from the Earth, so considered natural. It can be used to whiten creams, makeup or as a natural sunscreen. It has a dry feel like iron oxides. It is often coated to make it feel smoother and easier to apply. The coatings may make it less natural. It is also usually micronized, which is very finely ground so that it also spreads easier and does not leave white smears on your skin. There are concerns about TiO2 being harmful, but once again it has been tested as being safe for use in cosmetics. The particle size, even when micronizes or nano, are too large to be absorbed by the skin. So it stays on your skin, which is exactly where it needs to be to either protect you from UV rays or keep your skin even tone in your make up products. Think about it – what good would your foundation be if it got absorbed and disappeared? T is for Talc. Baby powder. Yip, talc is the main ingredient in baby powder as well as lots of powder makeup. It is a soft powder that feels great. It is also natural and mined from the Earth. There used to be concerned about residues of asbestos due to the way it was mined but the quality process and refining for cosmetic use has improved significantly in the last decades that testing reveals zero traces of asbestos. It is considered safe for use as it is used. is for Urea. This is a component of Urine. Before you get all squeamish, it is NOT extracted from urine. It is made in a lab, so it is synthetic and man-made. It works amazingly to soften dry and chapped skin. It is very common in foot balm products or products with very dry skin. As it is synthetic, it is also vegan-friendly. So no animal products in the Urea used in cosmetics. is for Vitamins. Vitamins are amazing for skin and hair care. 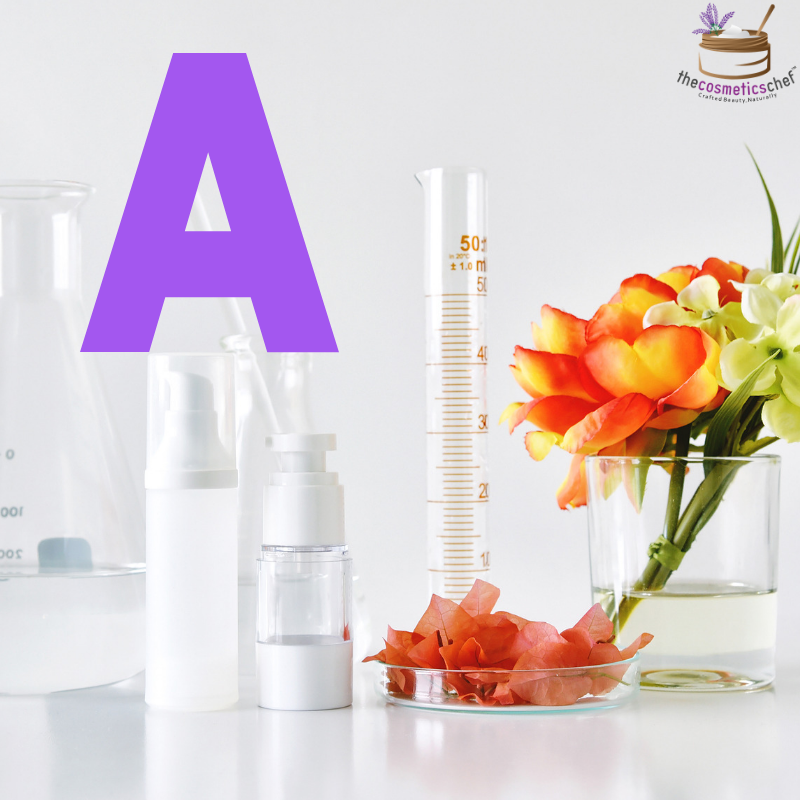 Vitamins A, B, C, D and E are very commonly used in cosmetics. A lot of the time though they are used in such small quantities that you may not see a real benefit. When used at the correct dosage they really have incredible benefits on skin and hair. My personal favourite for skin care is Vitamin B3. It helps almost anything. For hair, my favourite is Panthenol, also known as Vitamin B5. If you want to boost the vitamin e content of your favourite cream, you can buy vite oil capsules. Open the capsules and pour the extra vitamin e oil into your cream and stir. You can also get Vit E oil in the online shop. is for Water. Water is generally the first ingredient you will see listed on the ingredient listing of a cosmetic. It is a cheap and versatile carrier for cosmetic ingredients. In most creams and lotions, water will make up almost 70 – 80% of the entire product. Deionized water is used for cosmetics. This is to make sure that there are no reactions between the metals and salts present in water and the other ingredients used in the formulation. Water is also used a lot in the manufacture of cosmetics. It is used as steam to sanitise equipment, as steam inside pots to heat up bulk and iced water to cool down the bulk. Often we think about water and how we use it when we shower or wash things at home. We forget how much water is needed to manufacture anything. 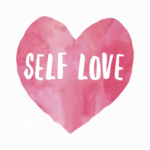 Whether it is fashion, household, cars or cosmetics. Water is a limited resource and we need to find ways to reduce our overall water consumption in every way so that we can sustain life on this planet. is for Xanthan Gum. This is a natural gum thickener that is also used in foods like jams. It gives a ‘snotty’ texture in cosmetics when used in high amounts. In small amounts in helps to stabilise emulsions and can also give a silky feel. It’s all about using the right amount in the right way. X is for Xylitol. Yes, sweeteners are used in cosmetics too. This can be found in some lip balms to give a sweet taste but it is also used in some creams to help moisturise the skin. Most sugar type products have moisturising benefits as they attract water, so this helps hydrate the skin. is for Y DIY? Why make your own amazing cosmetics at home? I ask why not? All you need is the recipe. If you can read, you can follow the recipe and make anything! It is so exciting seeing how the product is made but best of all? You get to choose exactly what you want in your product. No more spending hours finding the right product, just make it the exact way you want it. Add the right ingredients to make it your perfect skin saving potion. You also save loads of money as you don’t have to pay for the brands expensive marketing and distribution. It is also very Earth Friendly. You only make what you need. So there is less water wasted in the manufacturing, less energy used in manufacturing and less packaging wasted. It is also so therapeutic making your own. You can make things with family or friends and have lots of fun together. Add a dash of love to your next DIY face cream and see how much your skin loves you. is for Zinc Oxide. This is mainly used in suncreens and baby bum creams. In sunscreens it is often used with Titanium Dioxide. It is protects against UV rays. It can be dry and gritty so it is often micronized to make it a finer particle and easier to spread. It is also used in baby cream as it helps to give a protective coating which helps with nappy rash. It is also thought to have some antiseptic properties. Preservative – Why do we need them? The Cosmetics Chef is essentially about enabling everyone to craft their own beauty products using natural and organic products.